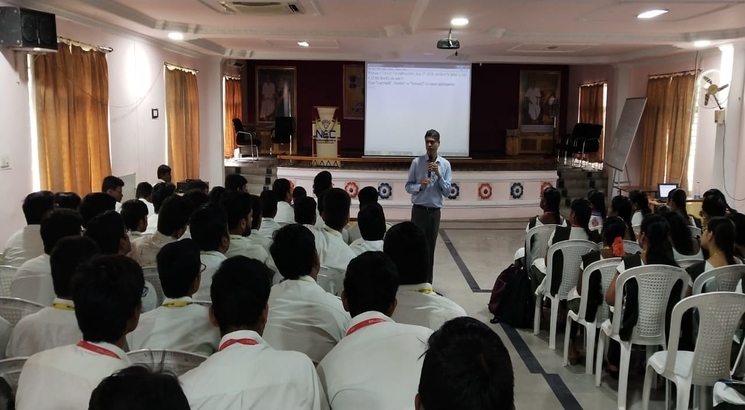 NEW DELHI, FEBRUARY 12: A workshop on AZURE Cloud, Microsoft's cloud computing platform, will be conducted by Narasaraopeta Engineering College (NEC), Guntur, in partnership with Microsoft Technology Associate for engineering students during February 14 to 15, 2019. The objective of the workshop, sponsored by Microsoft, is to train the participants in the principles and working behind Azure. The cloud service is known for its advanced security, privacy strength, high availability, redundancy, and cost-effectiveness. The workshop will also include details about a range of cloud services like computing, analytics, storage and networking. The primary aim of the workshop is to help students to stand out and get hired faster. Speaking about the importance of IT workshops, NEC Vice-chair- M Chakravarthi said, "Students have to be industry ready. Knowing the subject matter is not enough. We have been conducting industry visits to factories for electrical and mechanical students. This time we want to teach students what all works and tools are used in the IT industry".